How to convert MBR to GUID without data loss? Eassos PartitionGuru Free provides comprehensive functions for partition management and it is able to convert MBR (master boot record) to GUID partition table (GPT) without losing data. 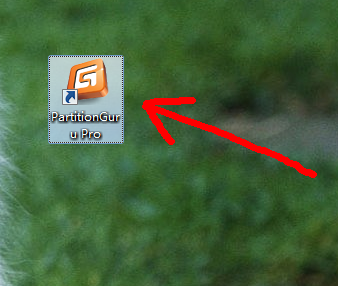 Step 1: Get PartitionGuru started by double clicking the icon. Step 2: Select the disk that needs to be conveted, and click menu items “Disk” and “Convert To GUID Partition Table”. Step 3: Click “OK” on the poped-up dialogue box . Step 4: Click “Save All” button to save new partition table to disk. Important：Make sure whether your computer supports GUID partition table before the conversion; if the operating system doesn’t support GUID partition table, after conversion the disk will become inaccessible. This entry was posted in Partition Manager and tagged convert MBR to GUID, convert partition table type, PartitionGuru by EASSOS. Bookmark the permalink.